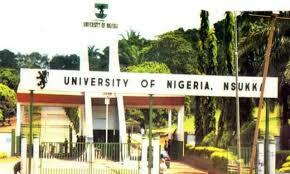 About 67 professors are vying to replace Vice Chancellor of University of Nigeria Nsukka (UNN) in June, Naija News has learned. It was learned that the post will be vacant by June 14 when the five-year tenure of the incumbent Vice-Chancellor, Professor Ben Ozumba, comes to an end. The premier university had about three months ago advertised the vacancy for the post of Vice Chancellor, precisely six months to the end of the tenure of Professor Ozumba. One of the 67 aspirants who have indicated interest will be selected by the Governing Council as the new Vice-Chancellor. Among them are some principal officers of the university and some distinguished professors from outside the university. 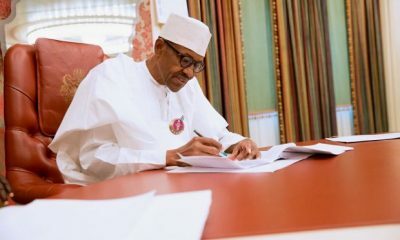 Top contenders for the post include Professor Charles Igwe, the Deputy Vice-Chancellor, Administration and Professor (Mrs.) Edith Nwosu, the Deputy Vice-Chancellor in charge of University of Nigeria Enugu Campus (UNEC). Others are Professor Ken Oforkansi, the Chairman of Senate Ceremonials and Professor (Mrs.) Joy Ezeilo, the Dean of Law Faculty in the institution. Some professors in the university, who spoke with newsmen, said the new Vice-Chancellor may likely emerge from the four professors earlier mentioned in this report. According to our sources, the DVC Administration, Professor Igwe, appears to be running on familiar turf, having been saddled with the day to day running of the university, in the absence of Professor Ozumba, who had a reputation of globetrotting. However, the undoing of Igwe, a Professor of Agriculture, may the fact that he hails from Anambra State like the outgoing Vice Chancellor. Although a very young Professor of Pharmacy, Oforkansi, who equally hails from Anambra State, may also be caught in the web of indigene-ship, like Igwe. It was also learned that the two female professors among the top contenders may not be caught in this web. Professor Ezeilo hails from Anambra State but is married to an Enugu man while Professor Nwosu hails from Imo State. As at the time this report was filed, our sources said the Vice Chancellor still keeps his preferred successor close to his chest. It could, however, be recalled that the Vice Chancellor made flattering statements about Ezeilo when she delivered her inaugural lecture last year. Rising from a town hall meeting of the zone, Nsukka Town Union resolved to be more united in the struggle for an indigenous vice chancellor of the University which was cited on the soft green hills of Nsukka in 1960 and ever since then, the vice-chancellorship position continued to elude the people in spite of all the efforts made in the recent past for the zone to produce an indigenous vice chancellor. Addressing the people, a prominent community leader and Special Assistant to the Enugu State Governor on Market Matters, harped on the need for Nsukka to produce the next Vice-Chancellor of the University as the incumbent vice-chancellor Prof Benjamin Ozumba winds up his tenure June this year. “Nsukka can’t continue with minor appointments such as security staff and gardener jobs with towering degrees while other citizens from different parts of the country occupy vantage positions in the university which remains the only feasible industry in the zone since 1960. “We have to go all out to achieve the dreams of having a Nsukka professor as the next vice chancellor of UNN for the first time,” he said. Ezugwu further called on stakeholders in the six local government areas of the zone to join hands in the crusade for the realization of the appointment of an indigenous vice-chancellor of the university, adding that it was high time the zone stopped sitting on the fence. The governor’s aide urged influential indigenes of Nsukka extraction to rise up and draw the attention of the powers that be at the presidency and National Assembly to the plight of Nsukka people with respect to the vice-chancellorship position at UNN. 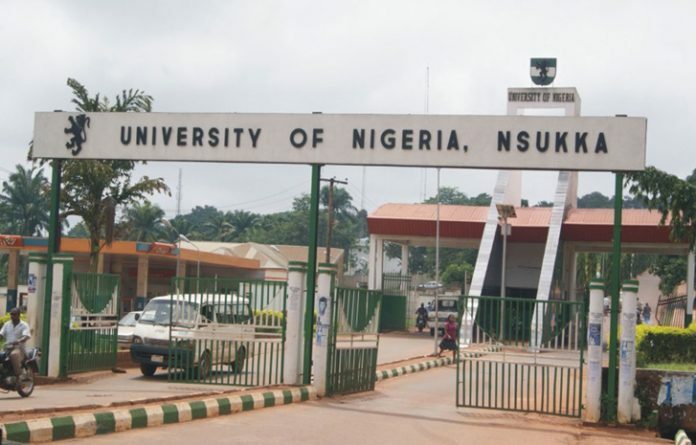 Chief Ezugwu offered to undertake the logistics to ensure that Nsukka voice is heard on the process of election of the vice chancellor position of the University for the first time, explaining that Nsukka zone have over 50 professors that are qualified for the number one position of the University. He said that there is a need for synergy and cooperation by Igbo Nsukka to see that the position does not elude the people of Nsukka at large. 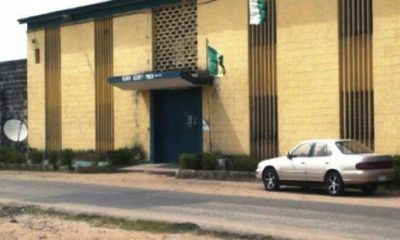 When contacted Okwun Umeaku, the Public Relations Officer (PRO) of the university, the declined comments noting that only the Chairman of Governing Council or Registrar, who is secretary to the council, could comment on the matter.